Jersey’s, Totes, Hats, Tanks, T’s & More! Mane Depot has placed their gorgeous logo on various items. 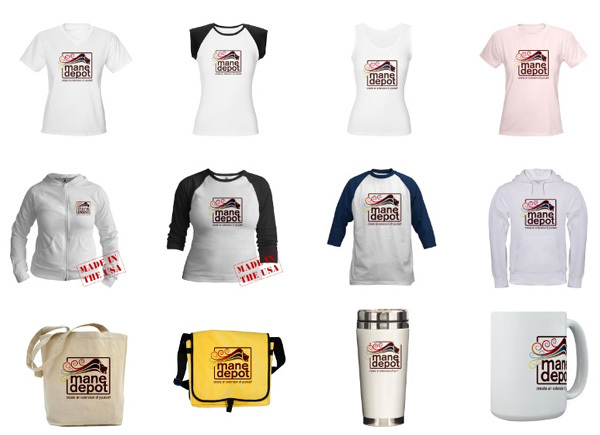 Please visit our CafePress Store and display the logo with pride! Extended wear bonding tapes such as Protac, Supertape or True Blue are dream tapes for those wanting a long-lasting, secure install. And then the inevitable time arrives we all must face: the removal. C22, Pure, Citru-Spice all do a remarkable job releasing bonding tapes. But here’s the thing – sometimes after removal, there’s blobs of adhesive tape or even the entire section of tape stuck to the wefts. First, you pull at them, ripping the layers away from each other. You try soaking in every solution imaginable. You pick at it only to wind up with slime-covered fingers. You try vigorous scrubbing with toothbrushes and vegetable scrubbers. Problem is, you’re harming your wefts. In particular, you’re doing great damage to delicate hand-tied wefts where gentle care and maintenance is key to their long life. Do you have hair looping out the top of your hand-tied weft? 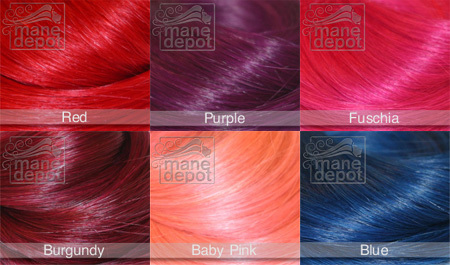 Chances are you’re using bonding tape and tried any one of the damaging methods listed above to get your wefts clean. Gather the following items: Clothing iron, paper towels, hand towel. Turn your iron on to high heat and do not use the steam feature. Lay your weft flat on the paper towel. Fold the top half of the paper towel over the weft. Place the hand towel over that and iron briefly. Remove the hand towel and then peel the paper towel off slowly. The adhesive tape will softly pull away from the hair weft and stick to the paper towel. Repeat as necessary and use a clean section of paper towel each time. Replace paper towel as needed. Wash your wefts with gentle shampoo, condition below the weft line and allow to dry. Wefts carry a residual sticky feel after removal with extended-wear bonding tapes. Once you commit your wefts to this type of install, those wefts should always be used for bonding tapes. The tack still remaining does not harm the weft. We’ve found it provides enhanced adhesion for the next tape install with added protection to the integrity of the weft to keep it in intact. You can see a full photo version of this demo (and others) located in our Demo Gallery section. We’d love to hear your feedback after trying this. And, as always, appreciate linking to our direct page when passing this info on to others. Unrefined Shea Butter and Aloe Vera Butter are now in stock. Shea Butter contains several natural anti-inflammatory agents and a minor sunscreen agent. Clinical studies have shown Shea Butter transforms the skin in as little as 4-6 weeks, into a softer, smoother, and better looking skin. Those who routinely use Shea Butter report a number of other special benefits for skin ailments, including relief from blemishes, itching, sunburns, small skin wounds, eczema, skin allergies, and wrinkles. Because of an abundance of healing ingredients, and its superior moisturizing activity, Shea Butter is in a unique class, as a stand-alone personal care product. Aloe Butter is produced using Aloe Vera and fractionated coconut oil. It is a soft, semi-solid butter which melts on contact with skin. Aloe Vera Butter soothes and helps heal dehydrated skin conditions such as eczema, psoriasis, sunburn and windburn. Because of its low melting point, you can warm to liquify and mix with your favorite lotions or body butters. Aloe Butter may also be applied direct to skin and hair. Euro Hair Detangler is the most remarkable hair treatment we’ve used. It hardly does this product justice to acknowledge it as just a detangling product. It provides remarkable slip and smoothness to hair extensions, hairpieces, wigs, toupees, lacefronts and integration pieces. Any hair giving you grief with its tangling, matting or overall poor condition will smooth, straighten and glisten with shine. It literally brings back to life dry, tangled, crawling, matted hair extensions you’ve considered throwing away. 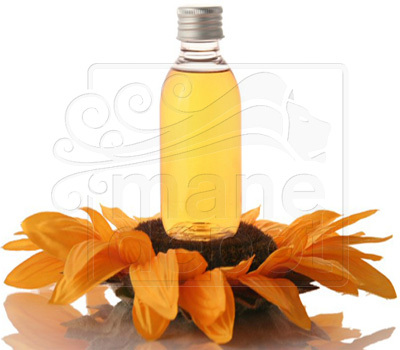 Euro Hair Detangler is a luscious golden oil with amazing fragrance. The moment you place your lifeless hair in this solution and bring it up, you’re going to see it change right before your eyes. 4oz of solution will treat a half pound of hair. And from now through February 7th, when you purchase Euro Hair Detangler, we’re offering a full size Looper Brush for 50% off. Bonding tapes commonly used for hairpiece units and lacefront wigs have revolutionized hair extension installations for the DIY community. If you’re a professional hair technician working in a salon, you’ve discovered the quick and efficient way hair bonding tapes allow you to fit walk-in clients into your tight schedules. Our Protac Bonding Tape Demo is online and easy to follow. 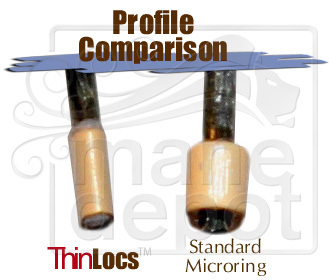 You can apply the same techniques in our demo to any hairpiece bonding tape we carry. Have you made the switch? 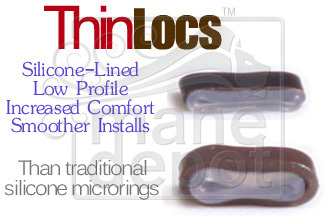 If hair bonding tapes have become your favorite installation method, tell us about it! If you’re anything like us, when we see someone doing something remarkable with fishing line and hair, we simply have to try it ourselves. And try we did. This truly works and we made some of the best hand-tied wefts with bulk fiber from our friends over at Plastikhaar.